Deep frying a turkey, which oil is best? ​The smoke point is the point in which the oil begins to degenerate into disturbing smoke. Every type of oil is different and it is important to know which oil has a higher or lower smoke point. Remember that there must be a consistency of 375 degrees Fahrenheit to thoroughly cook the turkey to perfection and so the smoke point must be above that in order to work. ​Safflower oil: Burns at 510 degrees Fahrenheit and is amazing for flavor and adding tenderness to the meat. Peanut oil: As mentioned before is the go to answer for deep frying for the sake of flavor and burns at 450 degrees Fahrenheit. Cottonseed oil: The smoke point for cottonseed oil is 420 degrees Fahrenheit and has a different flavor for turkey and might be a preference for some. Canola oil: Canola oil is frequently used oil for cooking and burns at 400 degrees Fahrenheit and gives a satisfying juiciness to the turkey. Sunflower oil: Burns at a smoke point of 450 degrees Fahrenheit but in a semi refined state and brings a very subtle flavor. ​There are many other options for oils each depending on a preference and it might take a few times to get just the flavor that is desired. Another reason to choose certain oil is health. Although we all know that deep frying anything is not entirely healthy, the choice of oil used can at the very least make it a bit better. For example, peanut oil and canola oil are both used as a healthier substitute for vegetable or corn oil. 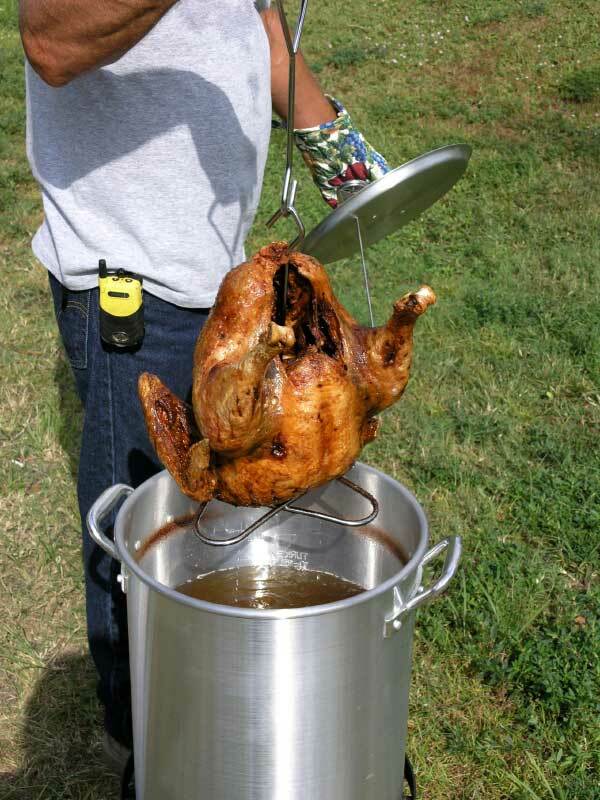 Any oil used can change the flavor and level of juicy tenderness you receive when deep frying a turkey. There are many other additives that can be taken into consideration and different recipes that can be followed to add even more flavor but be careful because depending on the oil and additives chosen the flavor could turn into something even the dog would not come near. So overall, there are many options for the exploratory deep frying cook from canola oil to sunflower oil and as long as you keep trying new flavors you will find the exact flavor and consistency you are looking for. With or without additives an amazing meal is just a simple choice away.